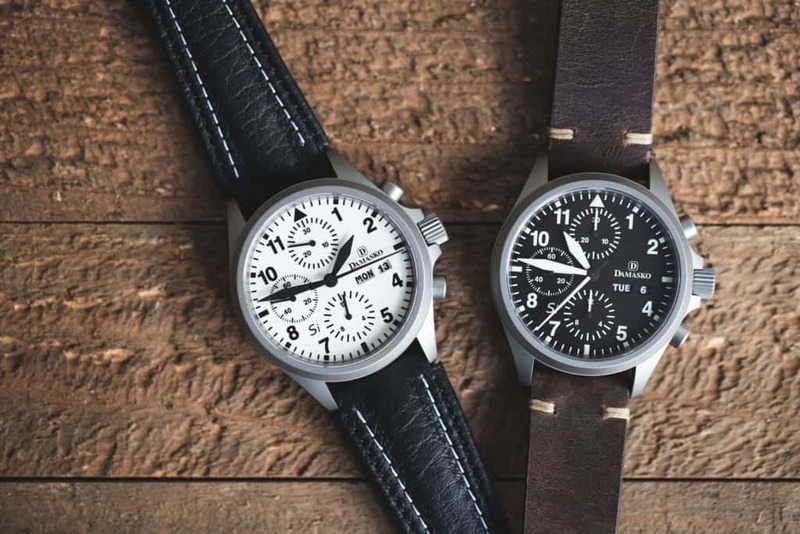 The Damasko DC 5X chronographs are exemplary of the brand’s philosophy. They are simple, straightforward, modest, and easy-to-read, while hiding under the surface is a wide array of in-house technologies dramatically increasing their durability and functionality. They are meant to be daily companions whether you’re at a desk, cruising the autobahn on a motorcycle or flying high above the clouds. But when it comes to the most trying, taxing and brutal of situations, Damasko has another option, the 5X Si models – think of them as the DC 5X’s on steroids. The post Eurofighter Approved Damasko DC 56 and 57 Si Chronographs with Silicon Hairsprings Available Now appeared first on Worn & Wound.